The August Wilson Center Dance Ensemble delves into tragedy with Paving the Road of Survival. "Emotionally there is a progression throughout in the realization that you are going to die." August Wilson Center Dance Ensemble dancers. 8 p.m. Fri., April 12, and 8 p.m. Sat., April 13. 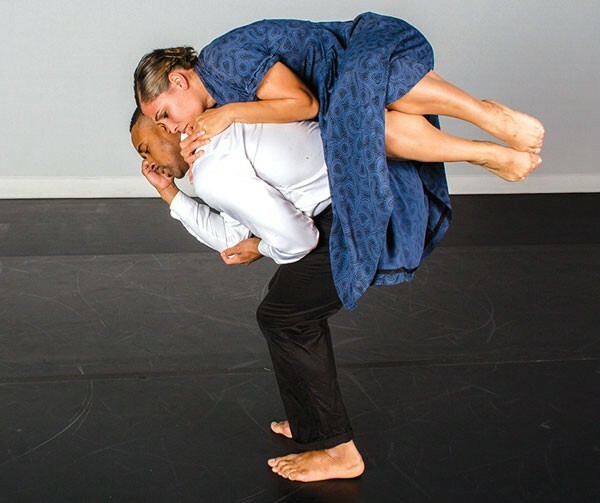 The final program in the August Wilson Center's series "Great Collaborations: The Alliance Between Blacks and Jews in the Twentieth Century" is the August Wilson Center Dance Ensemble's Paving the Road of Survival. It features two moving works inspired by dark chapters in the human experience. The first, Christopher Huggins' gripping, Holocaust-themed "The List," was premiered by Dance Alloy Theater in 2010. The 20-minute work for four dancers, inspired by Steven Spielberg's 1993 film Schindler's List, is set to music from the film's soundtrack. "The List" chronicles a Jewish family's ordeal, from eviction from their home in Krakow to their deaths in a Nazi gas chamber. "The piece is daunting physically and emotionally," says AWCDE dancer Annalee Traylor, who portrays the eldest of the family's two daughters. "There's a lot of collapsing to the floor and we get pretty bruised and battered. Emotionally there is a progression throughout in the realization that you are going to die." This will be the last mainstage production for the company for Traylor, an AWCDE founding member. 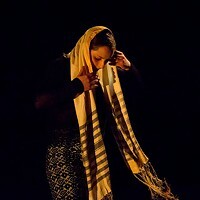 She is preparing to journey to another stop on the Jews' road to survival, moving to Israel to apprentice with Kibbutz Contemporary Dance Company. 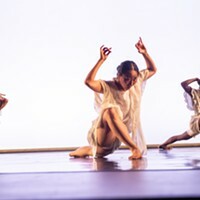 The program's second half, choreographer Kevin Iega Jeff's "Dedication" (1982), was inspired in part by another tragedy: 1979-81's "Atlanta Child Murders," in which 28 African-American children, adolescents and adults were killed. The 18-minute modern-dance work will take viewers on a spiritual journey. It was also influenced by a trip the then-22-year-old Jeff made to Africa, and by his work with mentor Lee Aca Thompson. "The dance metaphorically makes a connection to ancient African civilization," says Jeff by phone from his Deeply Rooted Dance Theater studios, in Chicago. The first of three sections in the work, "Oluwa," is set to music by Quincy Jones from the TV miniseries Roots. Jeff describes it as "a duet about an ancestral elder passing on a legacy of life to a child of the new world." The final two sections, set to music by Claus Ogerman and Patti Austin, respectively, are about the child passing on that legacy to his peers and their celebration of that knowledge.